The private-equity firms entering the residential space are spending hundreds of millions buying foreclosed single-family houses with the intention of renting them out. The goal is to acquire enough assets to potentially take public as a real estate investment trust, or sell to another company or even to tenants. This is a brand new asset class for institutions and when Wall Street likes something they tend to really like something, residential is hot . 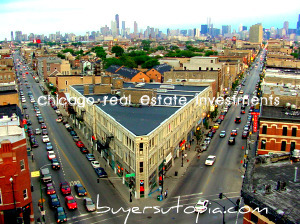 Real Estate has always been popular as REIT’s have loaded up on strip malls, office buildings and apartment buildings. Now we are seeing institutions for the first time turning to residential real estate after a 34 percent plunge in prices since the 2006 peak. They see an opportunity to enter the single-family leasing market as rents climb and the U.S. homeownership rate sits at a 15-year low. 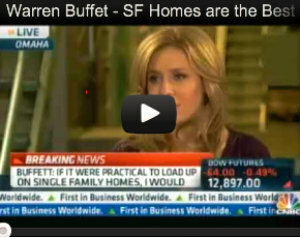 Even Warren Buffet is encouraging investors to get in on the new Residential Income Property asset class.